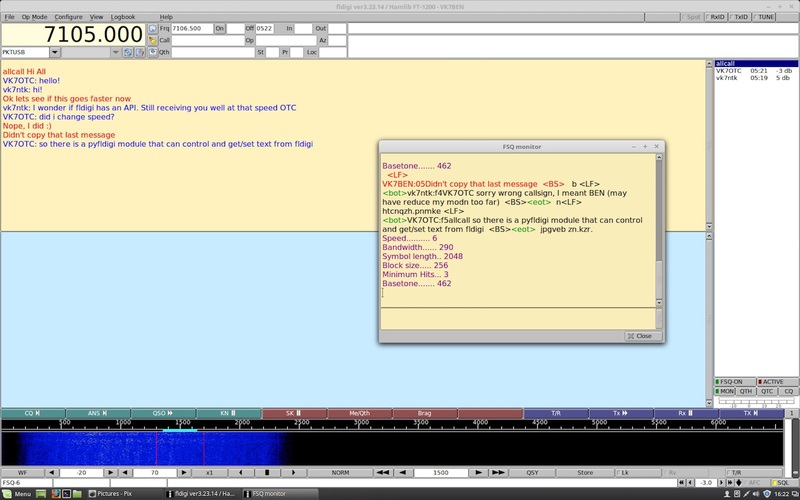 It seems I don’t get to play on air as much as I would like, but the other day I discovered a video by Kevin KB9RLW talking about this digital chat mode called FSQ. I shared the link with guys in the VK7 Online Chat Room and before I knew it, there were 3-4 people getting set up to use this mode. Fast Simple QSO (FSQ) has been around since 2014 and is developed by two New Zealanders – Con Wassilieff ZL2AFP & Murray Greenman ZL1BPU. It has some rather interesting characteristics about it such as weak signal capabilities, the ability to send files and pictures and also that commands can be sent as triggers to remote devices. The latter is very interesting for propagation reports – being able to send a command out and then have reports given back about your SNR amongst other uses. Anyway, early days for my experimentation with this mode and I am sure you will hear more from me about it soon!